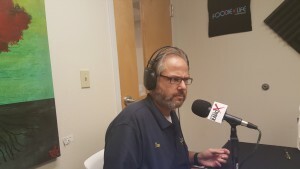 Pensacola Business Radio 04.28.16-Guests: Dan Fugate / Blues Angel Music, Benny Turner / Advisers USA, Anamaria R. Meeker / Save Your Own Life Now! Blues Angel Music (BAM) was founded in August of 1997 by retired Navy Captain and fighter pilot Jim DeStafney. He and his wife Nan, a retired Navy forensics officer, have grown the store from its one-man, 1,000 square foot beginnings into a 15,000 square foot, full-line music store, complete with a fully-staffed school of music. Serving the Pensacola area, Blues Angel Music provides an impressive selection of new, used, and vintage gear for the beginner and the professional musician alike. In addition to our selection of new, used, and vintage gear, and Blues Angel Music’s School of Music, BAM has become Pensacola’s best choice for band and orchestra instrument sales and rentals. We have been named a NAMM (National Association of Music Merchants) Top 100 Dealer 5 years running and we’ve also been voted Best of the Bay. These awards are due to our friendly staff of experts who are eager to provide information and advice relating to any of the instruments and accessories we offer. It is the goal of every crew member at Blues Angel Music to be the Gulf Coast’s “go-to” spot for aspiring musicians as well as gigging professionals. The Blues Angel Music Foundation aims to make a positive impact on the Greater Pensacola Area through the promotion of music education, instruction, and therapy throughout the lifespan of any and every individual it touches. We will seek out and support organizations, scholarships, and other efforts to engage the mind and body through music. Your donations are hard at work in our community! Former Pastor, Marriage & Family Therapist, and College Professor Benny M. Turner is the Founder and President of Advisers USA, LLC, a retirement planning firm specializing in helping retirees enjoy the benefits of reliable inflation-adjusted income for life. Benny’s proprietary Precision Income by Design™ planning process is the result of almost fifteen years of painstaking labor, designing and implementing innovative income plans for a myriad of grateful retirees now experiencing the joys of worry-free retirement; enjoying their grandkids and living the life they dreamed about. Precision Income by Design™ is about 21st century solutions to a 21st century income problem created by a near collapse of the economy of our great nation. In this new economic climate the same old thing just won’t do. Benny’s solutions are innovative; laser focused on the problem of lifetime income and delivered with the precision of a smart bomb. If lifetime inflation-adjusted income is your problem, Precision Income by Design™ is your solution and Benny Turner is your head coach. Like a wise head coach, Benny brings the power of a multidisciplinary team of financial, legal and tax professionals to the field with him. Together they provide our client partners with the building blocks and formal processes to avoid the financial mine fields which have destroyed the retirement dreams of so many of today’s retirees. As a man of faith and deeply held principal, Benny holds people to be more important than profit, and values men more than money. 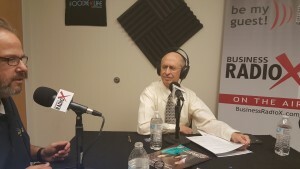 He is passionate about helping others reach the pinnacle of their dreams for a successful and happy retirement and has helped hundreds of families realize their own special financial quest. Imagine for a moment, you and your loved ones, standing on the top of your financial mountain with a breathtaking view of your retirement life stretching out before you, unhindered by the mountainous peaks lying below you. Imagine the financial air is clear as far as the eye can see and devoid of the economic and financial toxins rampant at the foot of the mountain. Now know this; Benny can help you get there. Call 995-1797 now and request your Precision Income by Design™ consultation. The first consult is free, and we guarantee you’ll be glad you called. Anamaria R. Meeker is a published Author, Facilitator, and Motivational Speaker, whose mission is to raise awareness about the importance of self-care, improving health and wellness by beginning with brain health. 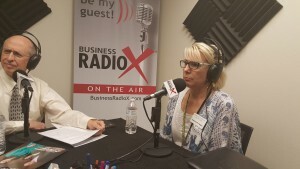 The inspiration for her business, “SaveYourOwnLifeNow!”, Change Your Health, Change Your Life, came from her own life experience of fighting, surviving, and thriving after a deadly diagnosis of Breast Cancer three years ago. Currently, Ana is also a volunteer Facilitator for an Alzheimer’s and Dementia Support Group in Pensacola, Florida for Covenant Care. Her group meets every second Monday at the Pine Forest Methodist Church in Pine Forest at 2:30pm, and is open to all family members, caregivers, and loved ones of those living with Alzheimer’s or Dementia. An accomplished poet and Author, Ana is sought after for readings from her book, titled “IN THE QUIET; Reflections on Senior Living”, a collection of stories told in poetry form based on her life experiences with our Seniors in Assisted Living and Memory Care Communities. Ana enjoys sharing her newest program “10 Easy Ways to Maximize Your Brain Power Now!” with audiences of all ages. Her fast-paced, educational, inspirational and entertaining program encourages folks to take control over their health and wellness by making simple, small changes and exploring new and important breakthrough discoveries. For more information or to book your program, contact Ana at 251-391-5277. You can also find her Facebook page by searching for “SaveYourOwnLifeNow!”in the search bar.